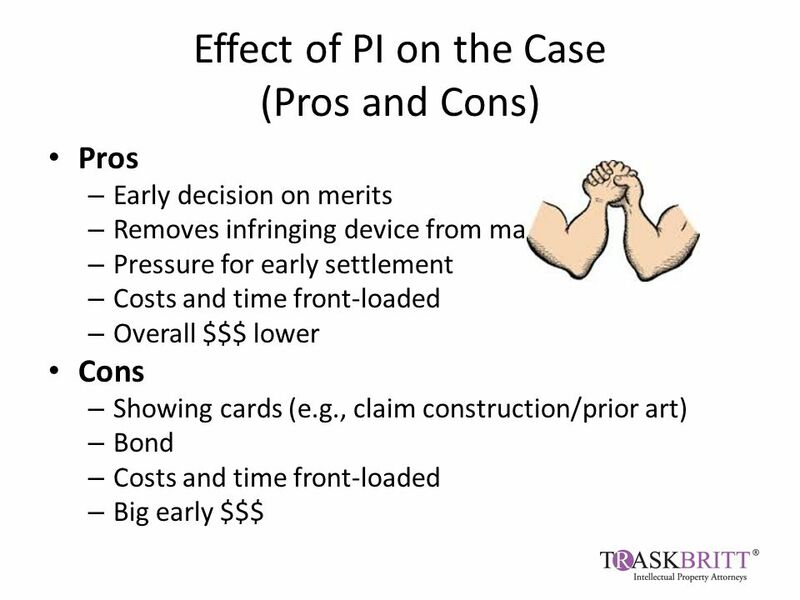 Preliminary Injunctions in Patent Cases. 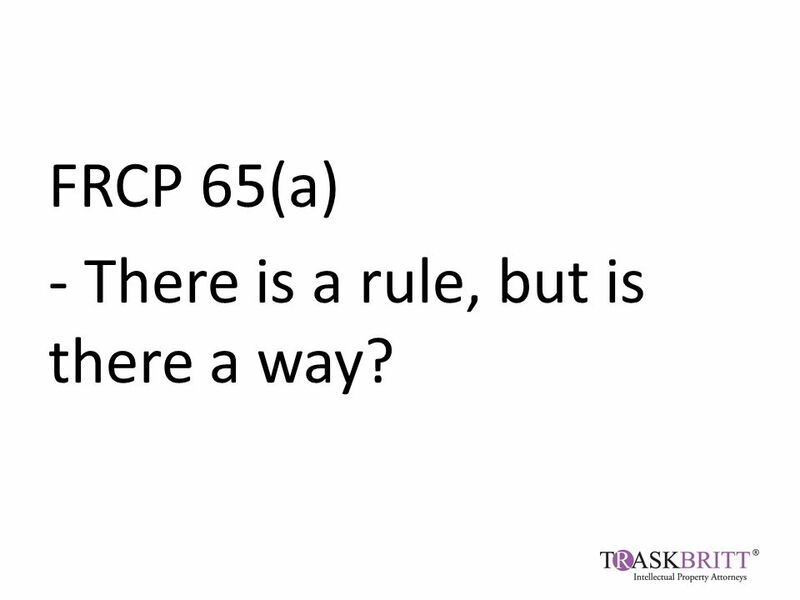 FRCP 65(a) - There is a rule, but is there a way? 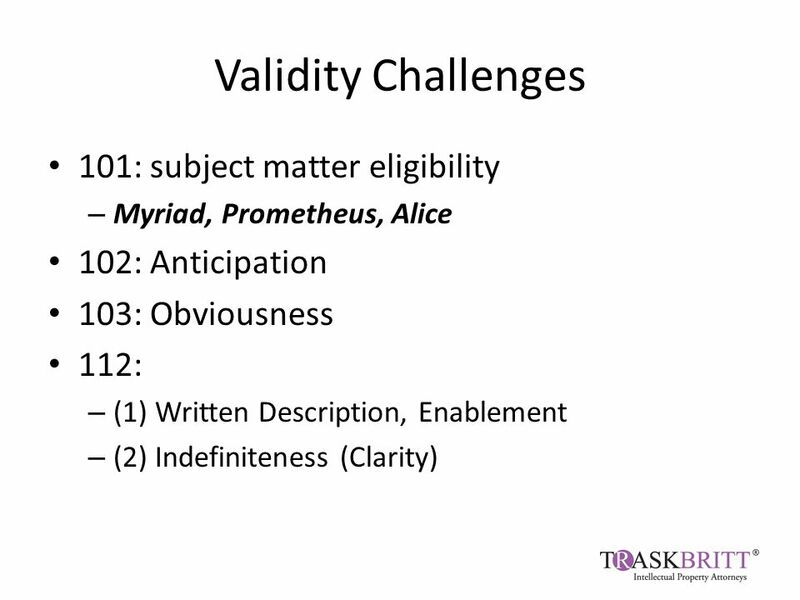 3 FRCP 65(a) - There is a rule, but is there a way? 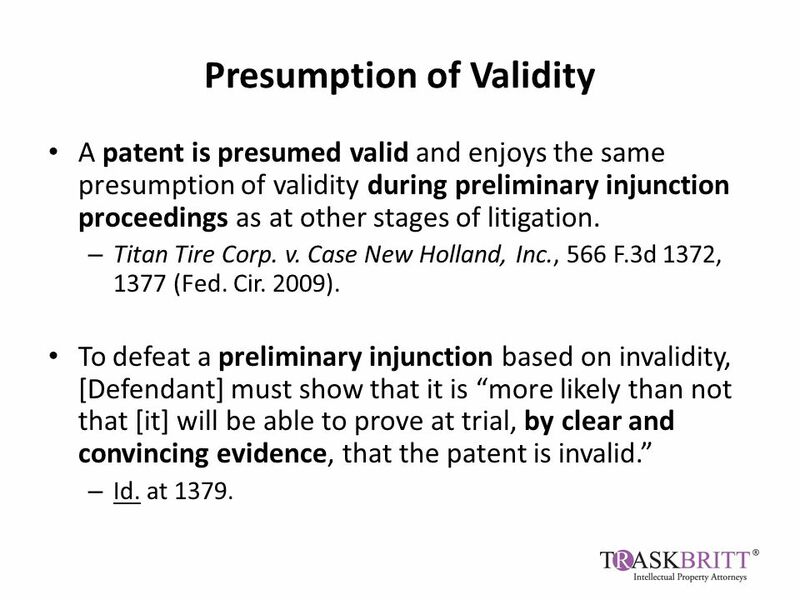 10 Presumption of Validity A patent is presumed valid and enjoys the same presumption of validity during preliminary injunction proceedings as at other stages of litigation. – Titan Tire Corp. v. Case New Holland, Inc., 566 F.3d 1372, 1377 (Fed. Cir. 2009). 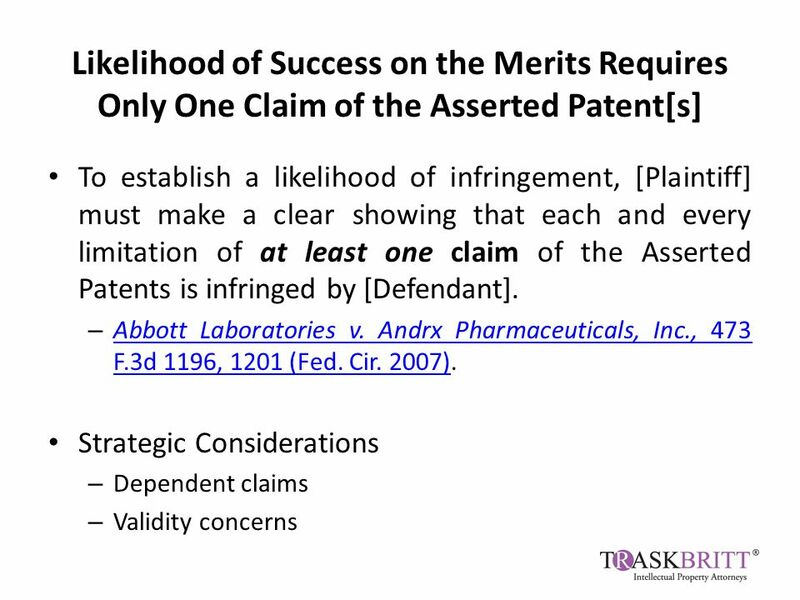 To defeat a preliminary injunction based on invalidity, [Defendant] must show that it is “more likely than not that [it] will be able to prove at trial, by clear and convincing evidence, that the patent is invalid.” – Id. at 1379. 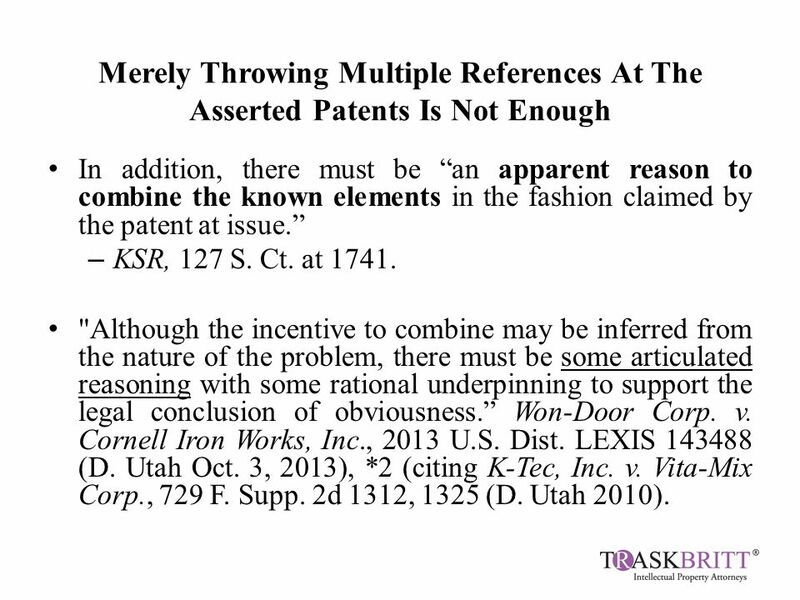 13 Merely Throwing Multiple References At The Asserted Patents Is Not Enough In addition, there must be “an apparent reason to combine the known elements in the fashion claimed by the patent at issue.” – KSR, 127 S. Ct. at 1741. 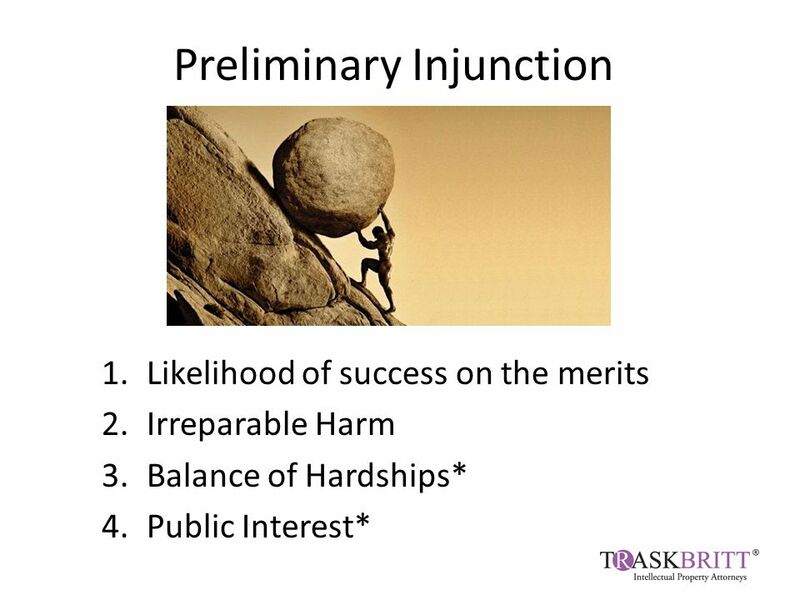 "Although the incentive to combine may be inferred from the nature of the problem, there must be some articulated reasoning with some rational underpinning to support the legal conclusion of obviousness.” Won-Door Corp. v. Cornell Iron Works, Inc., 2013 U.S. Dist. 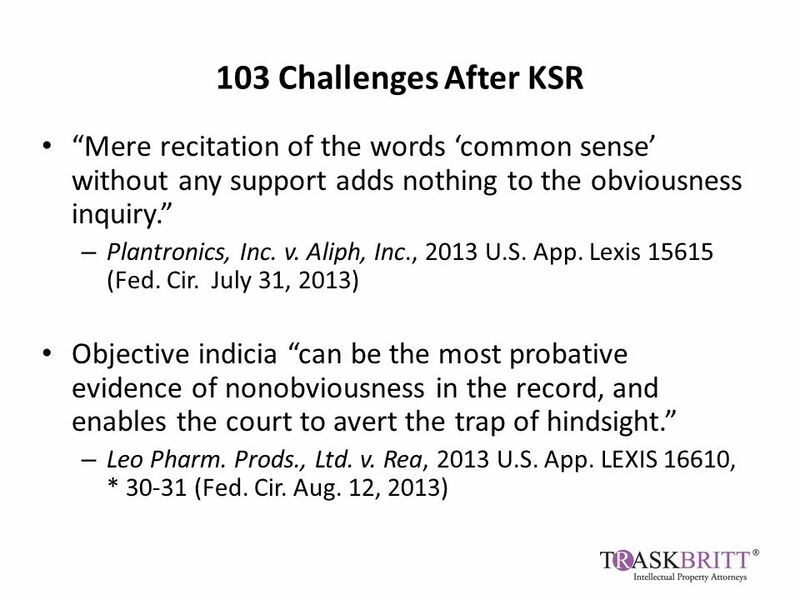 LEXIS 143488 (D. Utah Oct. 3, 2013), *2 (citing K-Tec, Inc. v. Vita-Mix Corp., 729 F. Supp. 2d 1312, 1325 (D. Utah 2010). 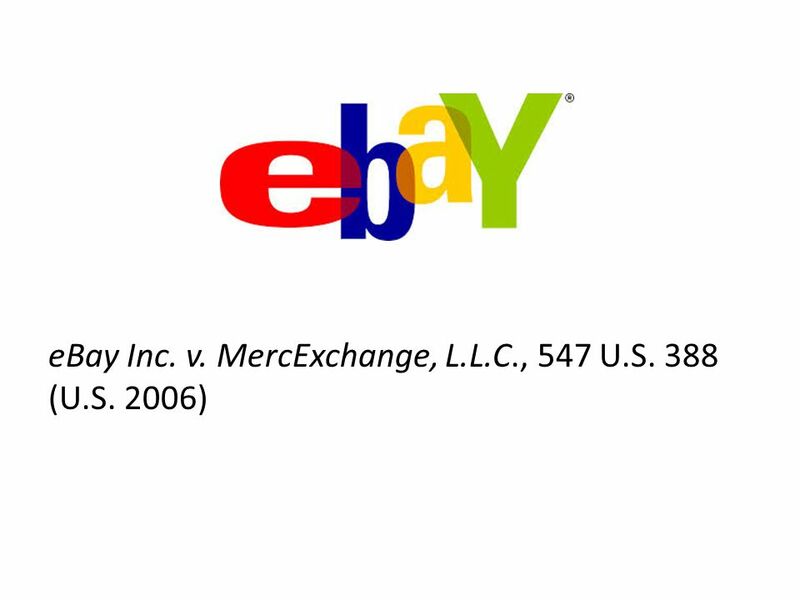 18 Apple Nexus Requirement Apple Inc. v. Samsung Elecs. Co., 735 F.3d 1352, 1360 (Fed. Cir. 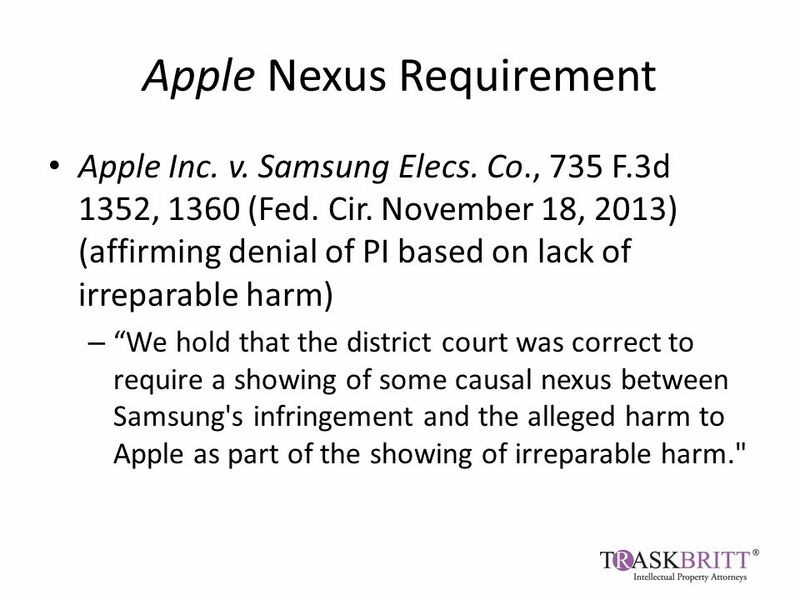 November 18, 2013) (affirming denial of PI based on lack of irreparable harm) – “We hold that the district court was correct to require a showing of some causal nexus between Samsung's infringement and the alleged harm to Apple as part of the showing of irreparable harm." 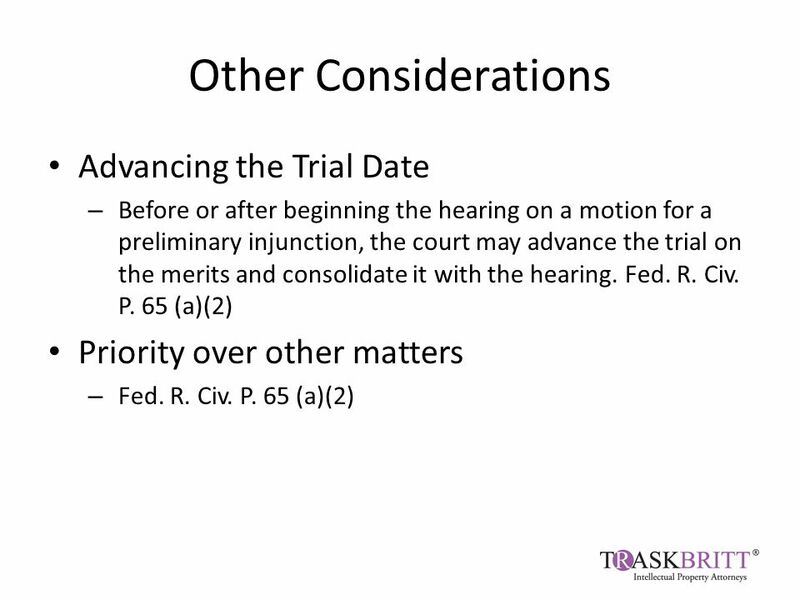 21 Other Considerations Advancing the Trial Date – Before or after beginning the hearing on a motion for a preliminary injunction, the court may advance the trial on the merits and consolidate it with the hearing. Fed. R. Civ. 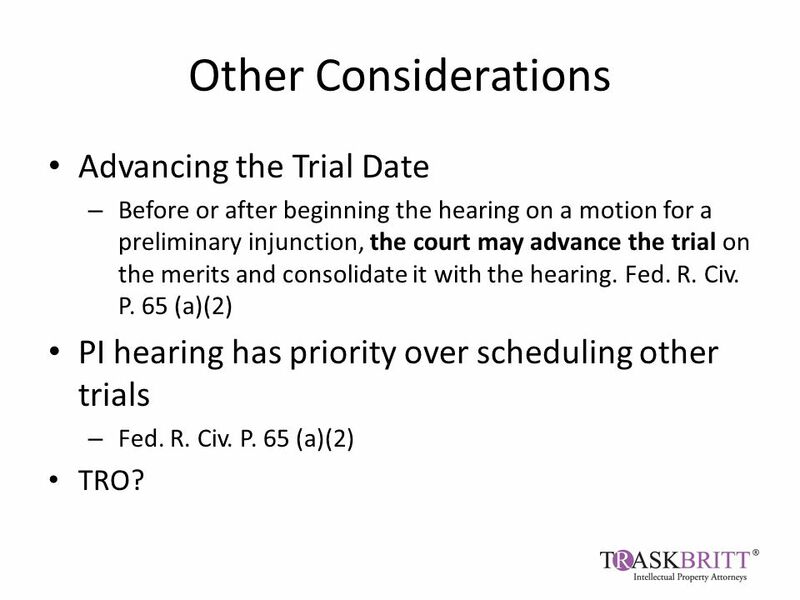 P. 65 (a)(2) PI hearing has priority over scheduling other trials – Fed. R. Civ. P. 65 (a)(2) TRO? 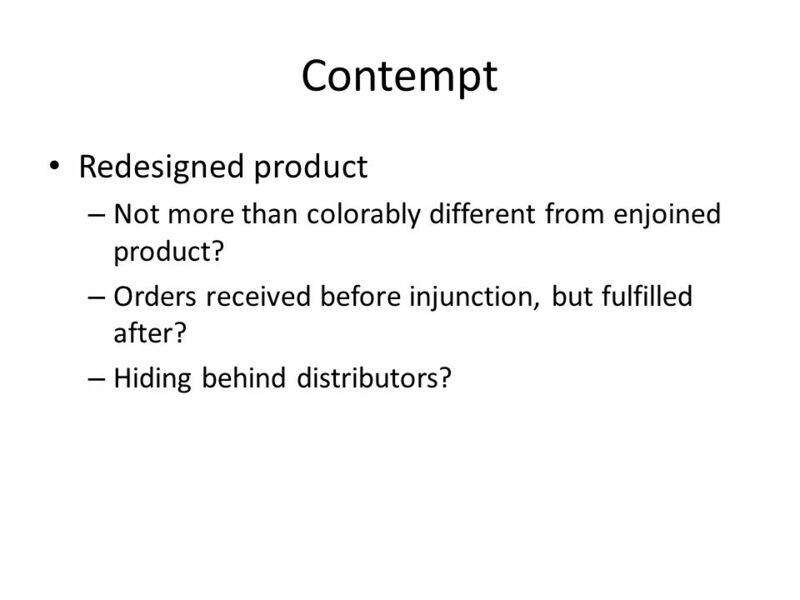 25 Contempt Redesigned product – Not more than colorably different from enjoined product? 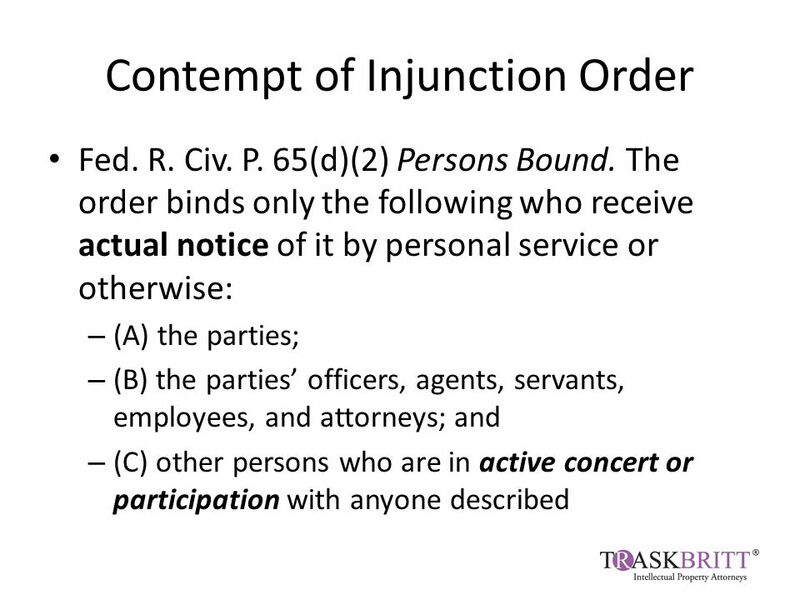 – Orders received before injunction, but fulfilled after? 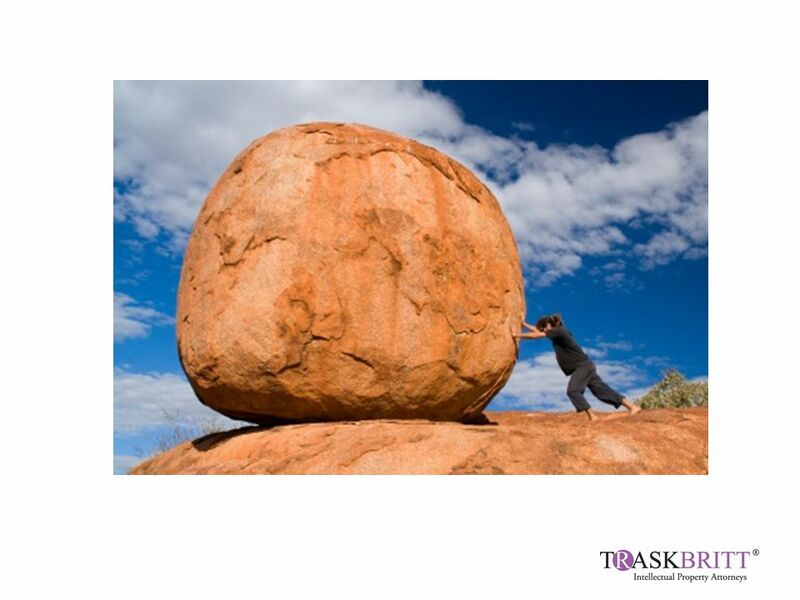 – Hiding behind distributors? 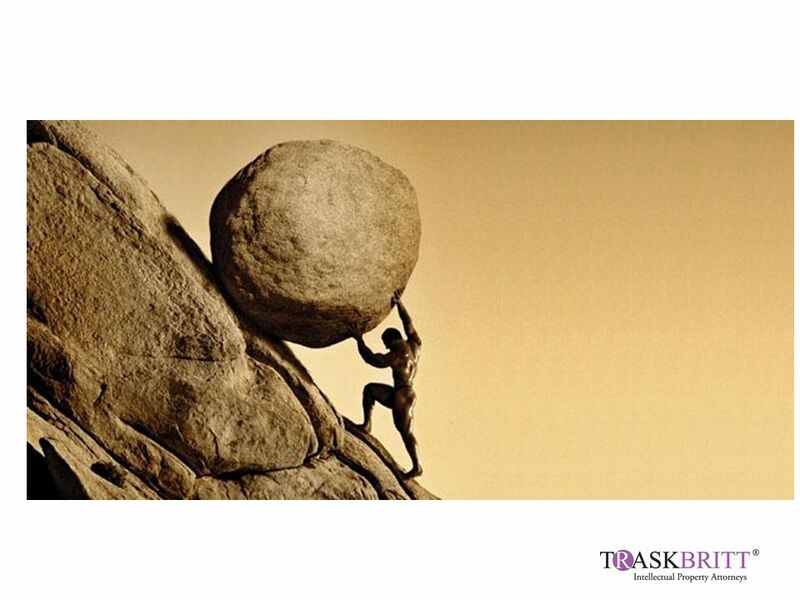 30 Case Law Updates Teva Pharmaceuticals USA, Inc. v. Sandoz Inc., No. 13-854, slip op. 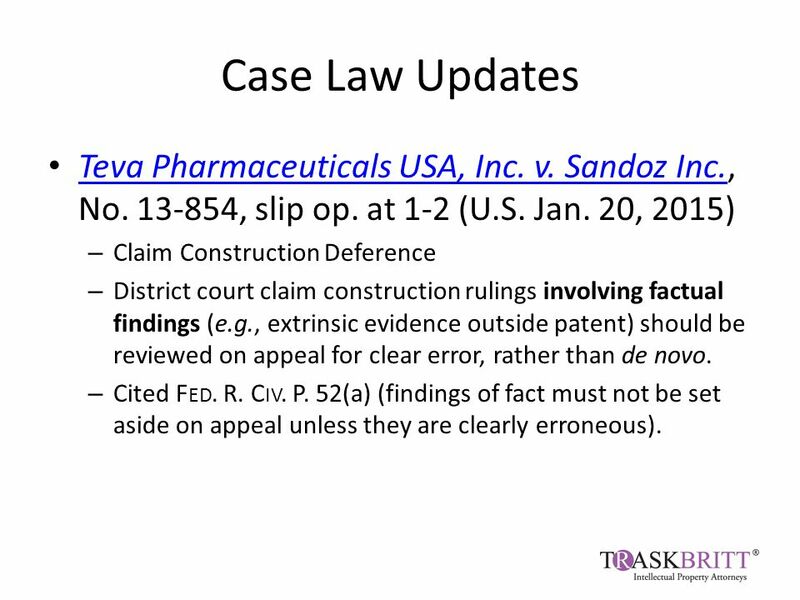 at 1-2 (U.S. Jan. 20, 2015) Teva Pharmaceuticals USA, Inc. v. Sandoz Inc. – Claim Construction Deference – District court claim construction rulings involving factual findings (e.g., extrinsic evidence outside patent) should be reviewed on appeal for clear error, rather than de novo. 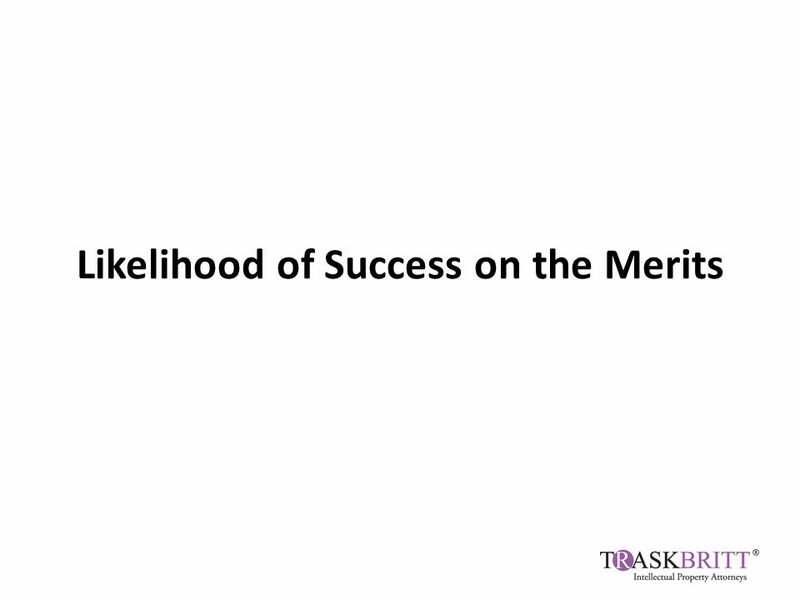 – Cited F ED. R. C IV. 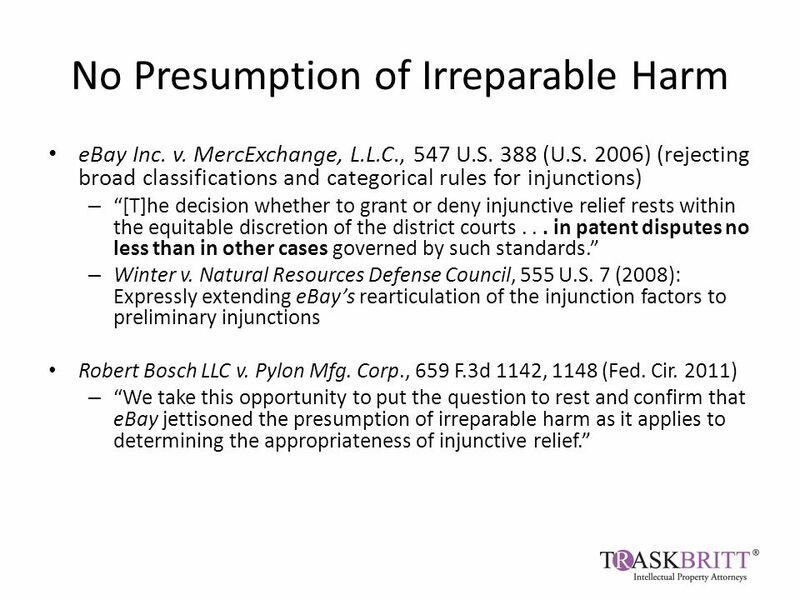 P. 52(a) (findings of fact must not be set aside on appeal unless they are clearly erroneous). 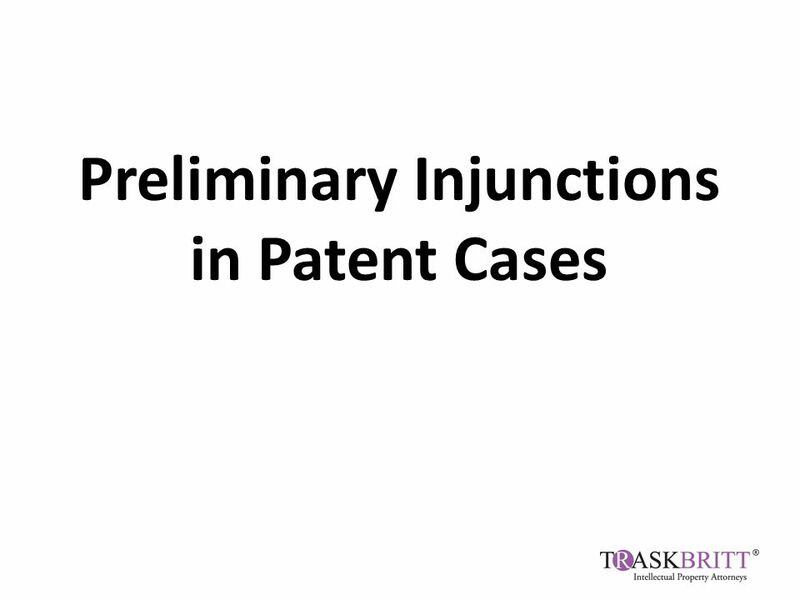 Download ppt "Preliminary Injunctions in Patent Cases. 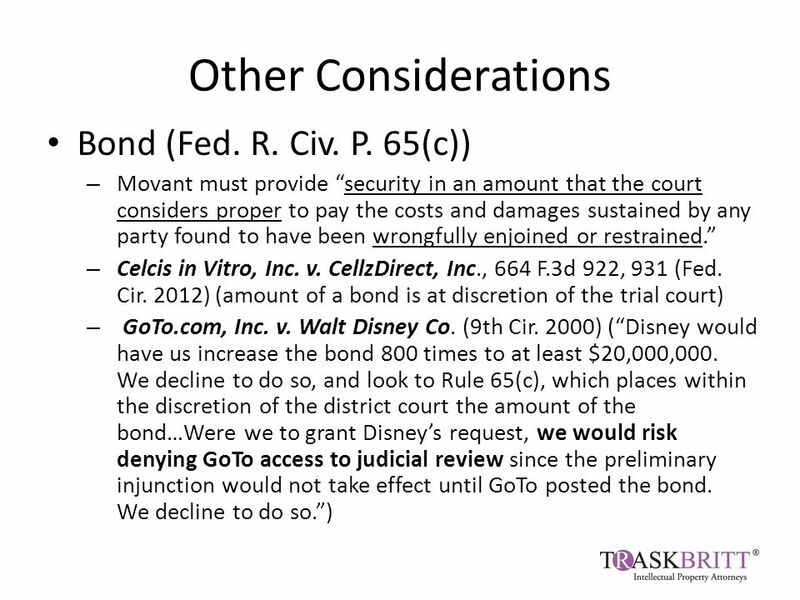 FRCP 65(a) - There is a rule, but is there a way?" Points Relied On Points and Critique Dean Ellen Suni Fall 2013 These materials are for teaching purposes only. The law is probably incorrect and is solely. © 2007 Morrison & Foerster LLP All Rights Reserved Attorney Advertising The Global Law Firm for Israeli Companies Dramatic Changes in U.S. Patent Litigation. Alternatives to IP Litigation July 13, 2012 Dan R. Gresham. 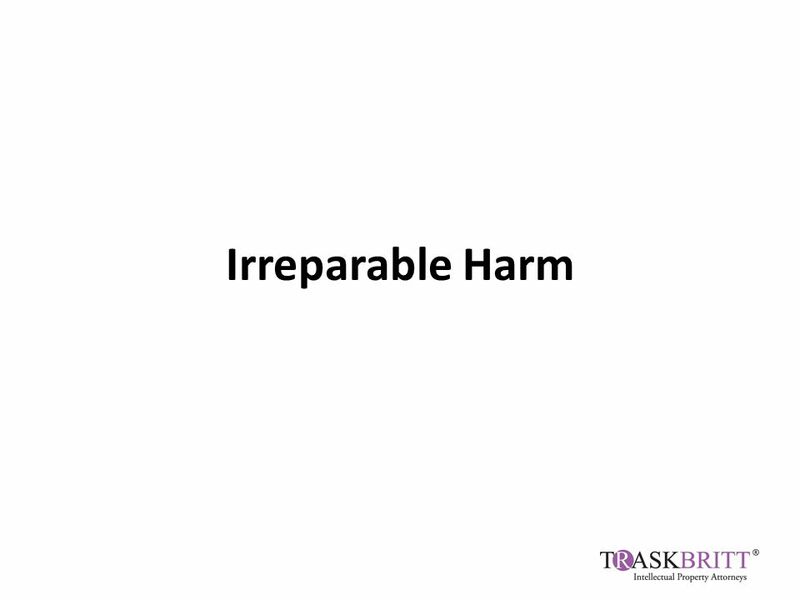 Recommended Pre-Suit Case Analysis Likelihood of infringement Likelihood of validity Size of potential recovery Likelihood of injunction and its importance. 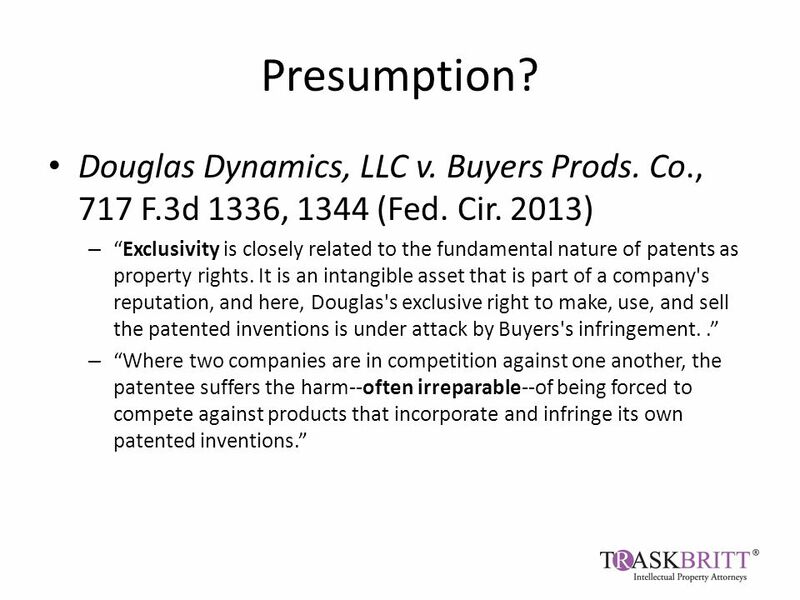 How To Enforce Your U.S. Patent Presented at: Patentgruppen Århus, Denmark Date: October 25, 2011 Presented by: Richard J. Basile Member St. Onge Steward. 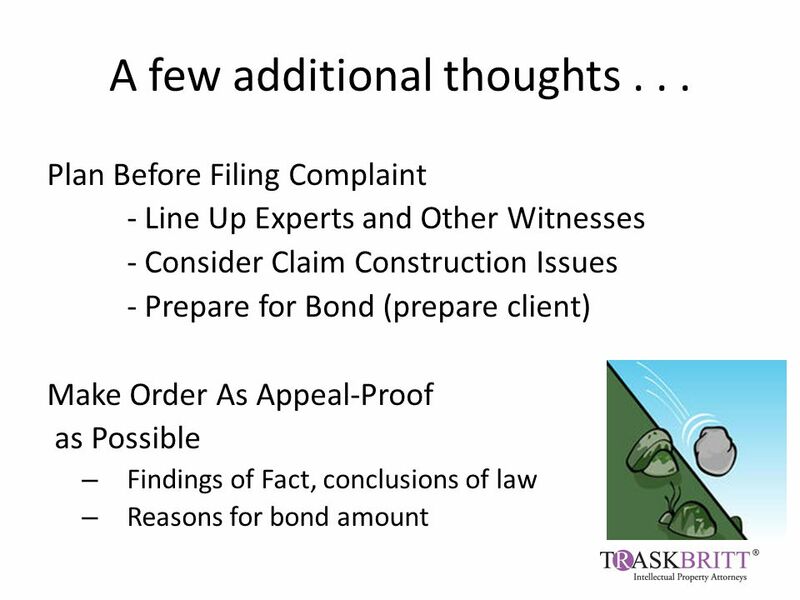 How To Defend A U.S. Patent Litigation Presented at: Patentgruppen Århus, Denmark Date: October 26, 2011 Presented by: Richard J. Basile Member St. Onge. 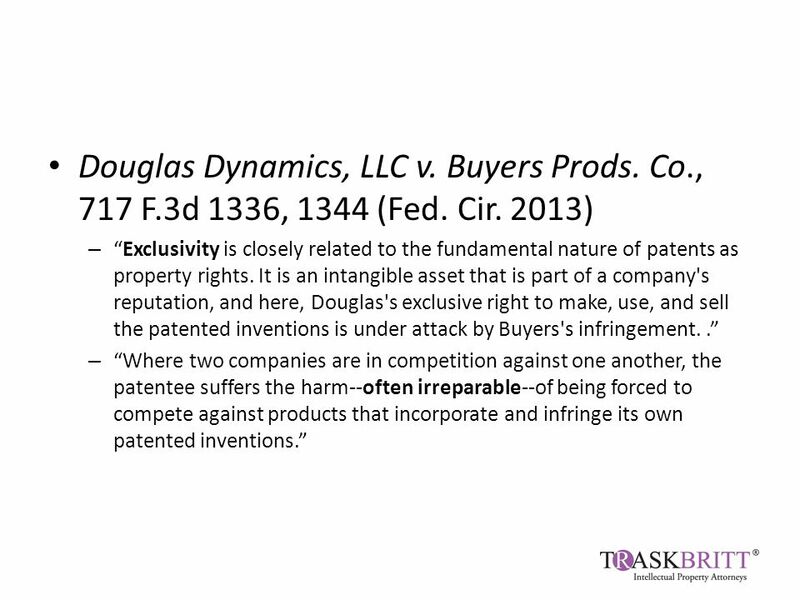 Patent Law Overview. 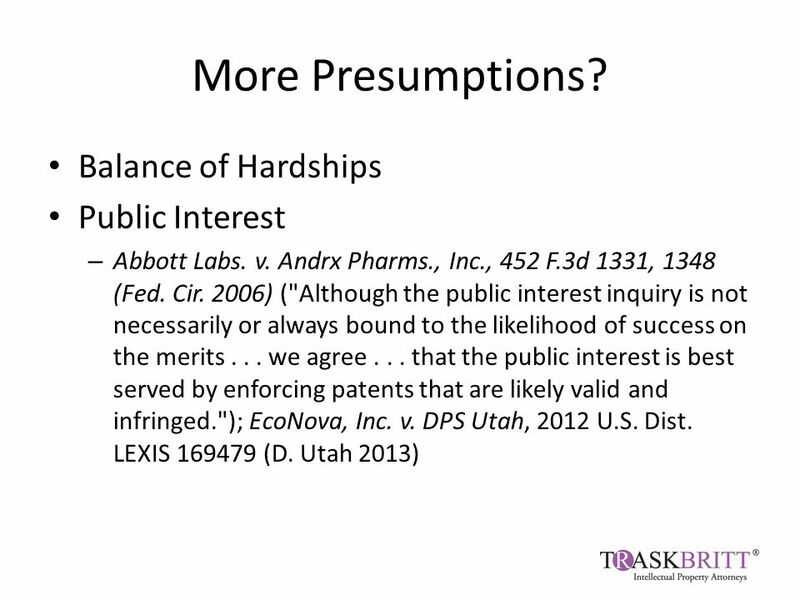 Outline Effect of patent protection Effect of patent protection Substantive requirements for patent protection Substantive requirements. 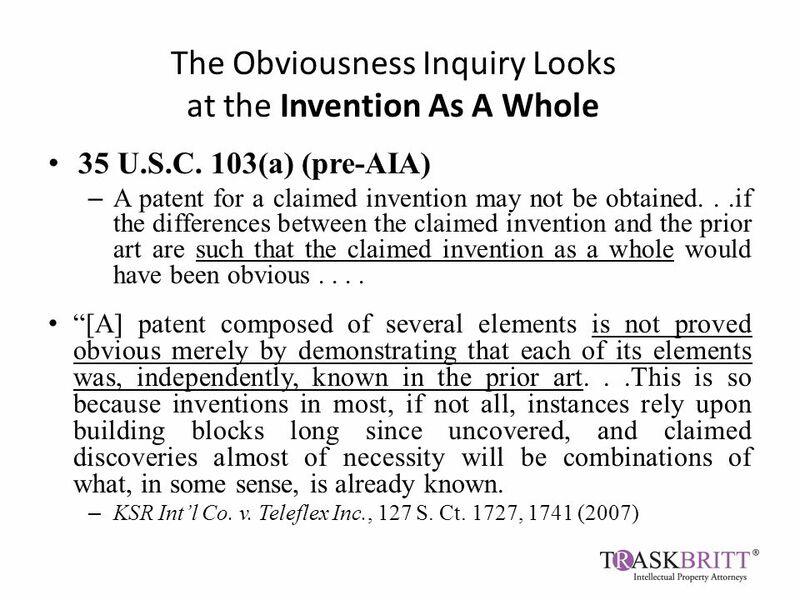 © Kolisch Hartwell 2013 All Rights Reserved, Page 1 America Invents Act (AIA) Implementation in 2012 Peter D. Sabido Intellectual Property Attorney Kolisch. 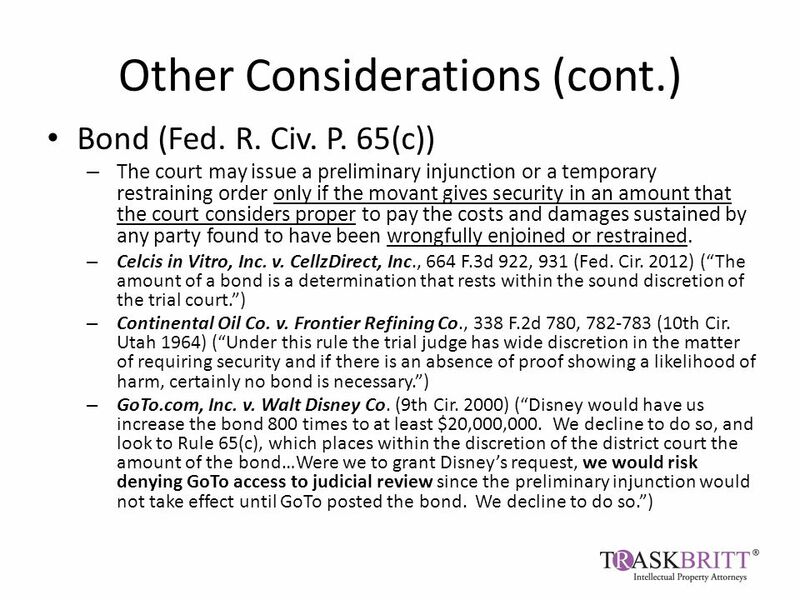 Preliminary Injunctions, Temporary Restraining Orders and Declaratory Judgments Jerry Brown January 25, 2012. 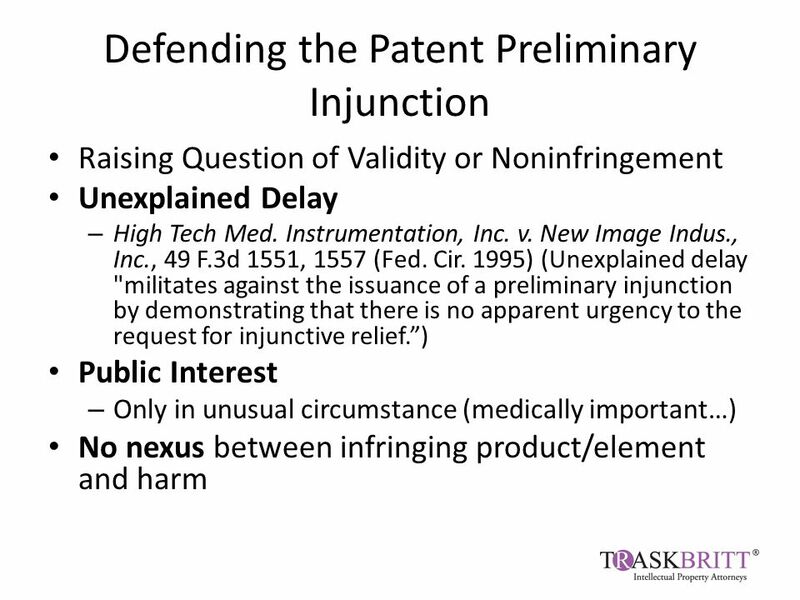 1 Rule 132 Declarations and Unexpected Results Richard E. Schafer Administrative Patent Judge Board of Patent Appeals and Interferences. 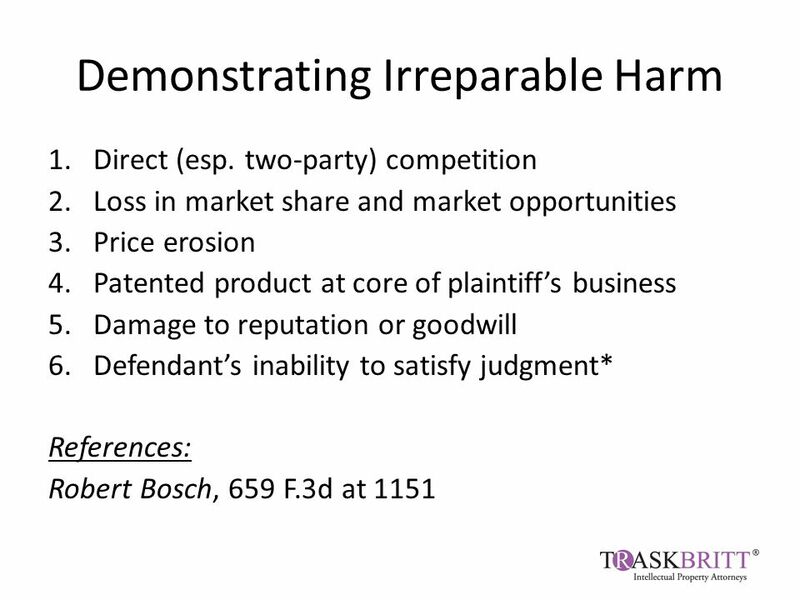 Greg Gardella Patent Reexamination: Effective Strategy for Litigating Infringement Claims Best Practices for Pursuing and Defending Parallel Proceedings. Patent Enforcement in Germany Pros and Cons by Alexander Harguth Attorney at law Patent- und Rechtsanwälte Alexander Harguth - Attorney at law - Galileiplatz. 1 1 AIPLA Firm Logo 1 AIPLA Firm Logo American Intellectual Property Law Association CURRENT TRENDS/EFFECTS OF AIA on US Patent Practice at the US Patent.